Partial Synopsis from Good Reads: The Victorian language of flowers was used to convey romantic expressions: honeysuckle for devotion, asters for patience, and red roses for love. But for Victoria Jones, it's been more useful in communicating grief, mistrust, and solitude. After a childhood spent in the foster-care system, she is unable to get close to anybody, and her only connection to the world is through flowers and their meanings. My Thoughts: Let me preface my review with a couple of things. First, our daughter is a case worker for social services and a foster parent. Our son is in law enforcement. Case Workers, Foster Parents, and Law Enforcement Offices make mistakes. Of course they do. They are as flawed and fallible as the rest of us. Most are amazing people, doing their very best to make the world a little better and just a bit safer. The good ones are seldom featured on the evening news, though, are they? Having said that, let's move on to the book review. 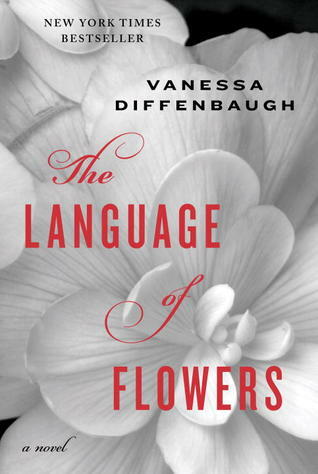 The Language of Flowers is very well written. There are two time lines. One is the main character's childhood and the other is at age 18, right after she ages out of the foster care system. For me, the beginning was a pretty difficult read as the author is laying out the hurtful days of Victoria's childhood, drawing sympathy for this young lady. Mistakes by law enforcement, foster parents, and her case worker are vivid parts of Victoria's memories. As the story develops and the language of flowers is taught and spoken, I became mesmerized. While the book can be viewed as incredibly sad on many levels, it also tells of angels on Earth and the importance of forgiveness. Thank you, because of your post I'm checking into the meaning of flowers. It sounds very interesting. Have a wonderful day! Is this a current book? I wonder if I can find it here at my Half Price book store? It sounds like a compelling book. I'm adding it to me reading list. Thank you for sharing the review at The Really Crafty Link Party this week. This sounds fascinating! Thanks for sharing your own personal insights as well. Very helpful. It sounds like an interesting book, thank you for the review!